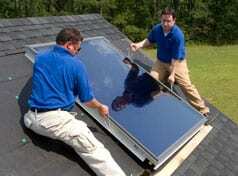 Solar Energy Management is known for our best in class solar solutions in Venice, and the most competitive pricing. 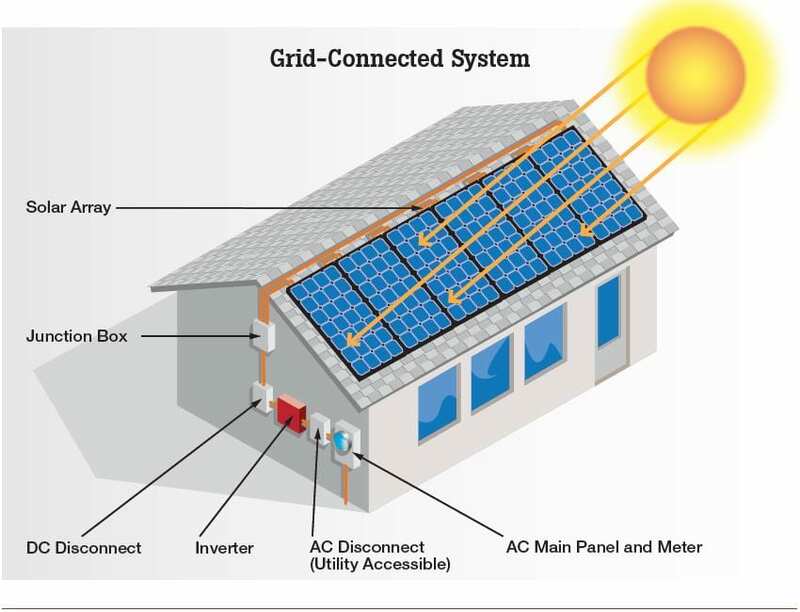 Our goal is to design solar power systems for Venice homes to the highest standards while making the use of solar power simple for our Venice customers. We offer all Venice clients a Path to Zero EnergyTM including the option to have architectural plans reviewed to certify a structure to be a Zero Energy home. 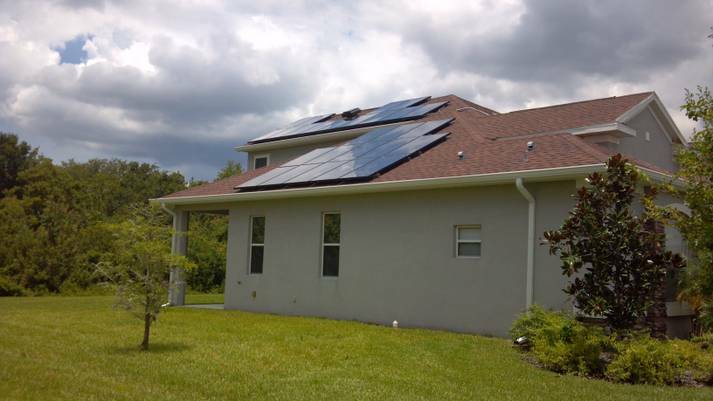 This service includes full energy modeling and review of the plans by solar engineers from the Florida Solar Energy Center. 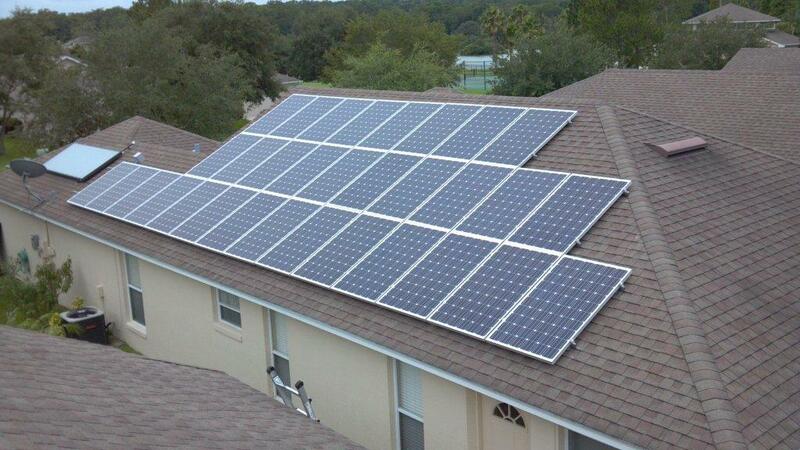 This process ensures that when the home is done and complete, it will be a Zero Energy HomeTM. 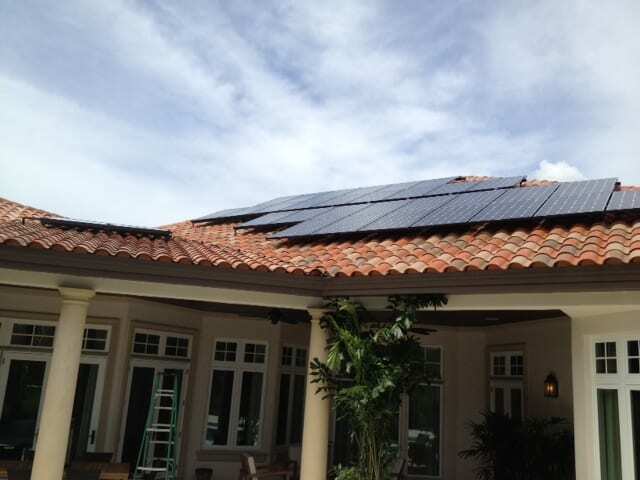 The solar products offer our clients the best in class Venice solar power systems that provide the highest power output guaranteed to up to 30 years and are attractive and integrated into the client’s roof lines. 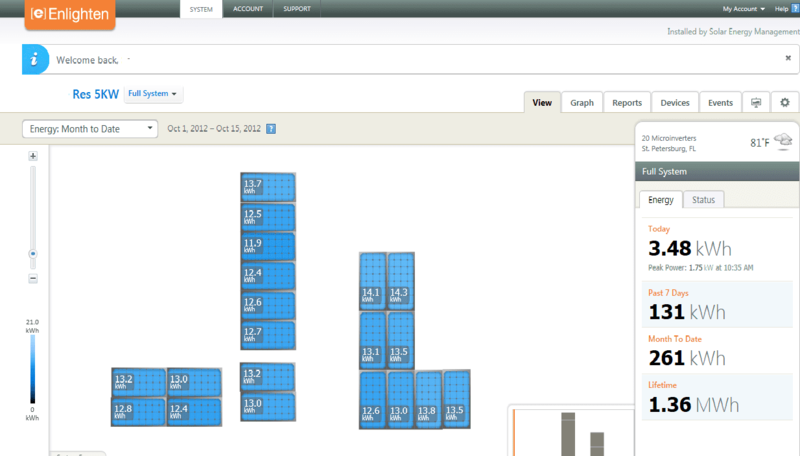 Above is an example of the available on-going monitoring system. This information shows our Venice customers how much solar energy is collected by their system on a daily, weekly or monthly basis. This portal also allows our clients to see the status of the entire system and will indicate and email us if any problems exist immediately. There is no need to become a solar equipment expert; this monitoring system takes all the guess work out of maintaining your solar system. 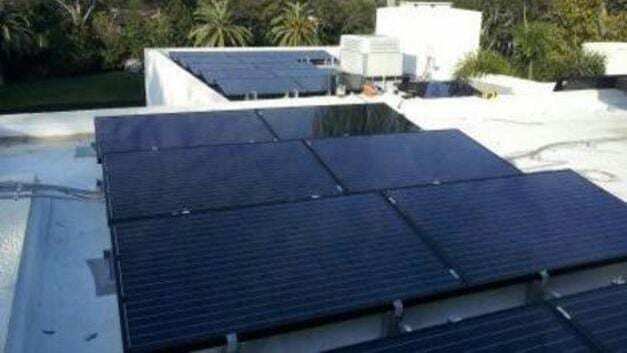 We provide the highest quality solar hot water systems for Venice. We further utilize hot waters solutions that are attractive and integrate into your roofline.